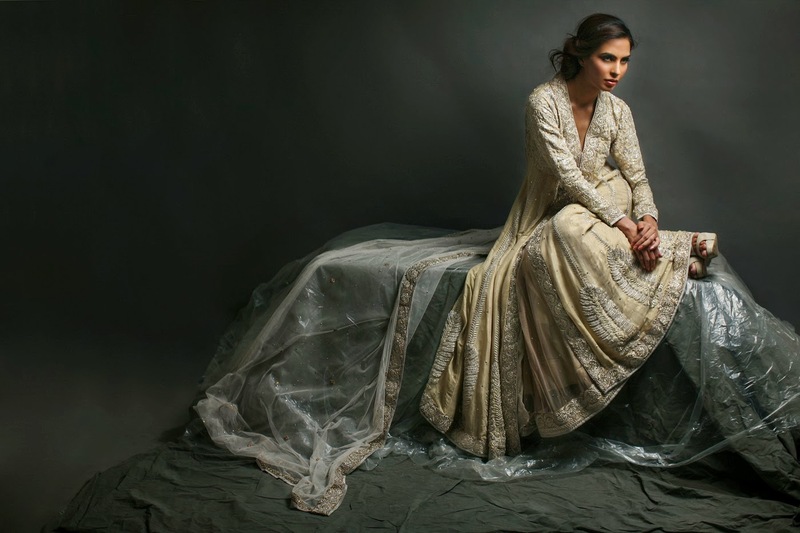 [LAHORE, 25 November 2013]:The Nida Azwer Atelier is set to showcasea bridal collection entitled “The Hyderabad Collection”, at the Bridal Couture Week in Lahore on the 29th of November. 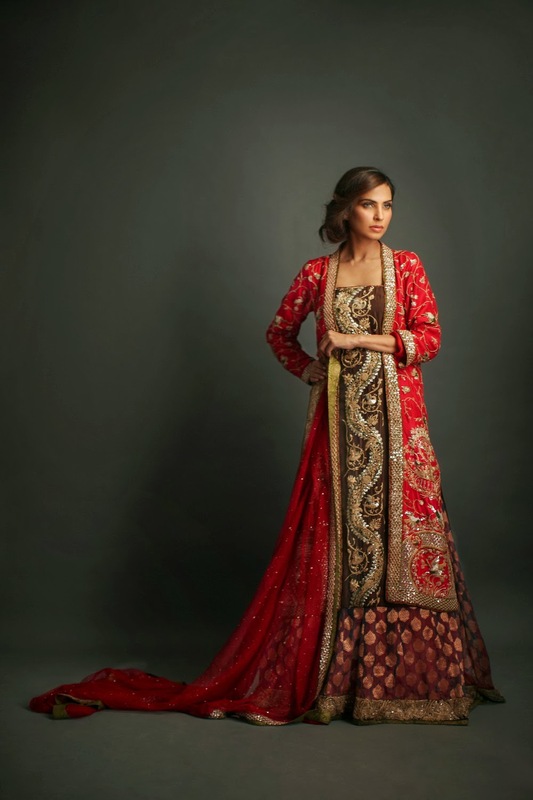 For her collection, designer Nida Azwer draws inspiration from the traditional Hyderabadiaesthetic.The collection highlights the grandeur, luxury and affluent lifestyle of the HyderabadiNawabs, through rich fabrics such as maisurisilk, brocade, featuring intricate embroideries of exotic birds, dragonflies and other creatures inspired from French florals as well as figurative embroidery inspired by Mughal miniatures. 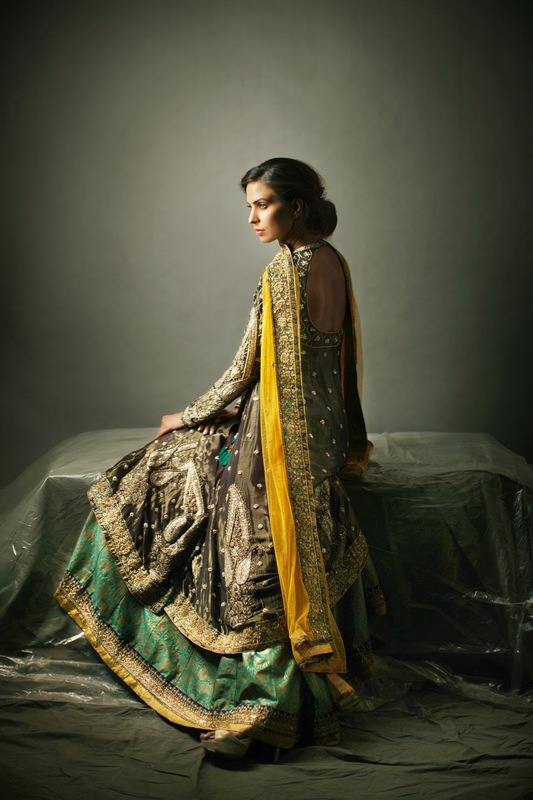 In terms of silhouettes,expect voluminous Hyderabadidupattas paired with classic Hyderabadi shirts with low backs, cholilehnga’s featuring detailed resham work and signature Nida Azwer angharkha’s, all in a diversecolour palette of off-white, gold, silver,yellows, greens and pinks with accents of dark greys and browns, ivories and coppers.